Export Data into Excel, CSV, PDF, etc. Learn how to export your data, including reports, income and expense transactions, and even a backup of your entire business. 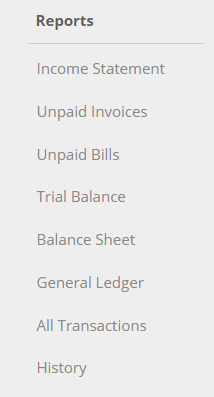 If you look under the reports section in the left hand navigation menu, all those reports (except for History) can be exported. The formats you can export to are Excel, CSV, HTML, PDF, and Google. To export, simply click on the link. The formats you can export to are Excel and CSV (with the exception of Accounts, which lets you export to Excel, CSV, PDF, and Google). You may want to export all of your business’ data with one click in order to get a back up of all your data. 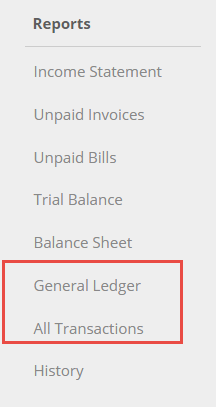 To do so click on Settings in the top right-hand corner. 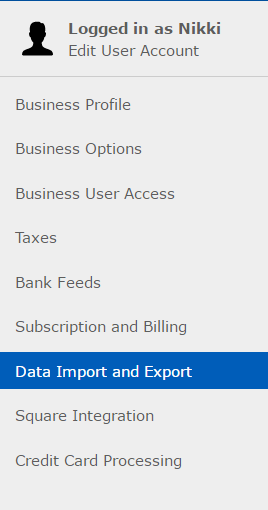 Then click on Data Import and Export in the left navigation menu. Select the export format from the drop down list and click Export .